"A sincere, truthful, and loveful presentation of life till now. It is commendable to document happenings with so much clarity and feel. Every phase is soaked in the quest and understanding of true love. From Supreme, Divinity, to deities, evolved souls, Gurus, to normal humans; but so sure of her true-self, carving her path of evolution and transformation through Gyan, authentic knowledge. Sublimation of Bhakti into pure love and duty, Karm - Seva. All the Love and Light for growth, glory, and grace. "Great book! Vinita Dubey’s love and devotion for Lord Krishna has touched my heart and soul. She has taken us through her true experience of self-transformation. I got to know her more and learned a lot from her life story. 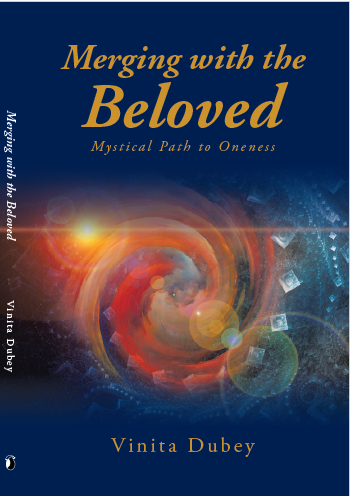 I f you really want to experience the touch of Higher Being then you MUST READ this book. I look forward to read more of her books and more publications. May God Bless her more and more! Love"